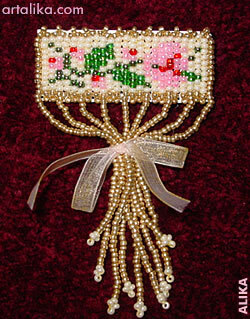 The Ribbon Pin from Ann Benson's Classic Beadweaving. I sewed beads on a piece of plastic canvas instead of weaving them in a kind of square stitch. It's a very charming pin I should say.